What is commercial umbrella insurance? A rain umbrella protects you from getting wet but doesn’t stop the raindrops from falling. Umbrella liability insurance is similar in that it cannot prevent accidents or mishaps, but can make those things less devastating financially. Your primary insurance coverage, like your homeowners and auto policies, includes liability coverage up to a certain limit. Liability is your legal responsibility to pay for damages to a person or to a person’s property. An umbrella policy increases your liability coverage substantially—more types of claims are covered and at a higher limit. Who Can Benefit From Commercial Umbrella Insurance? If you cause an accident, the legal system makes a judgment that, between you and the injured person, whether or not you should be the one to shoulder the financial repercussions. The person who suffered damage is then entitled to collect what is owed by claiming insurance proceeds. If the money provided by the insurance company is inadequate, a claim may be made on your income, assets, and savings. Adequate liability insurance protects you from these financial consequences. Pain and suffering lost wages, medical bills and property damage are some of the items you may be sued for that are covered by umbrella liability insurance. Example: Typical liability policies may not cover damage claims resulting from false arrest, libel, slander, or defamation of character. If you are held liable for damages caused by these types of claims, the umbrella policy can assist you in covering the costs. The right amount of liability insurance for any individual, family or business depends upon a number of factors. These include the risks you face and the assets you want to protect. For example, if you have a passion for speed boating, you have an increased risk over someone who only takes a dinghy out on the occasional fishing excursion. If you have a high income, you are more likely to be sued in the event that you are at fault for injury to others. damage exceeds the $300,000 liability coverage limit on your auto policy. Dog Bites: Your dog escapes the yard and attacks a neighbor, resulting in extensive medical costs. The umbrella policy covers the excess costs of hospitalization, care and rehabilitation after your homeowner’s liability coverage has been exhausted. Trampoline: Your son’s school buddies are playing on the trampoline in your yard and one of the boys flies off, suffering a spinal cord injury. Your umbrella liability manages the excess costs after you exceed the limits on your homeowners or renters liability policy. You hope these situations never occur, but statistically, they sometimes do. You can limit the consequences of an umbrella insurance policy. DO YOU NEED MORE LIABILITY INSURANCE COVERAGE? If you have assets at risk, including retirement savings, business income, college funds and other assets with total values that exceed the liability maximum on your home or auto policy. 13% of personal injury liability awards and settlements are $1 million or more. An estimated 1 in 5 people with considerable wealth do not have umbrella coverage. An average cost of about $380 per year can provide $1 to $2 million of protection. It will also cover you for things such as libel and slander. For about $150 to $300 per year, you can buy a $1 million personal umbrella liability policy. The next million will cost about $75, and $50 for every million after that. Get a free quote from Densmore Insurance Strategies, Inc. and get all of your questions answered. At Densmore Insurance we can give you information on the kinds of liability risks and costs associated with your particular situation. Contact us today for an umbrella insurance quote. 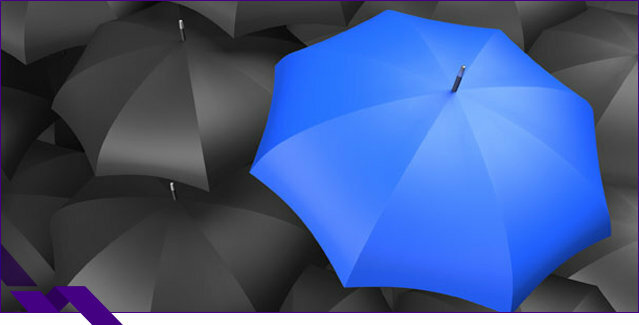 At Densmore Insurance Strategies, Inc., our insurance agency provides Commercial Umbrella Insurance to small and mid-sized companies near Ankeny Iowa,Altoona Iowa, Bondurant Iowa, Des Moines Iowa, West Des Moines Iowa, Johnston Iowa, Waukee Iowa, Grimes Iowa, Polk City Iowa, Pleasant Hill Iowa, Norwalk Iowa, Huxley Iowa, and Urbandale Iowa. We are licensed to serve Iowa, Illinois, Nebraska, Florida, Missouri, Arizona, Texas, and Tennessee.